I have spent my IT career doing the odd stuff, working on projects that were considered strange and not mainstream and working for companies that have been working in “new” areas. It has been fun and I have enjoyed being part of “innovation teams” and helping to develop “disruptive” business ideas. And mostly this “strange” stuff has been successful and delivered value to customers, employees and investors. 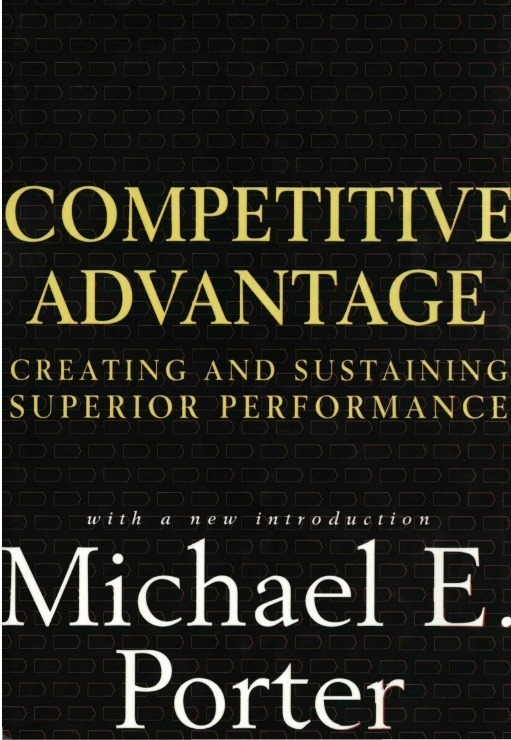 Part of this means that I have accepted as given books by people like Michael Porter (1985, “Competitive Advantage”) and Clayton Christensen (1997, “The Innovator’s Dilemma”). They fit into my world view and so why would I question the quality of their underlying research or the logic in their analysis? So it was with interest that I read an article on the BBC web site (http://www.bbc.com/news/technology-27999589) that discussed two companies who are at the forefront of a) financing this disruptive world (Indiegogo) and b) delivering disruptive services (Uber). 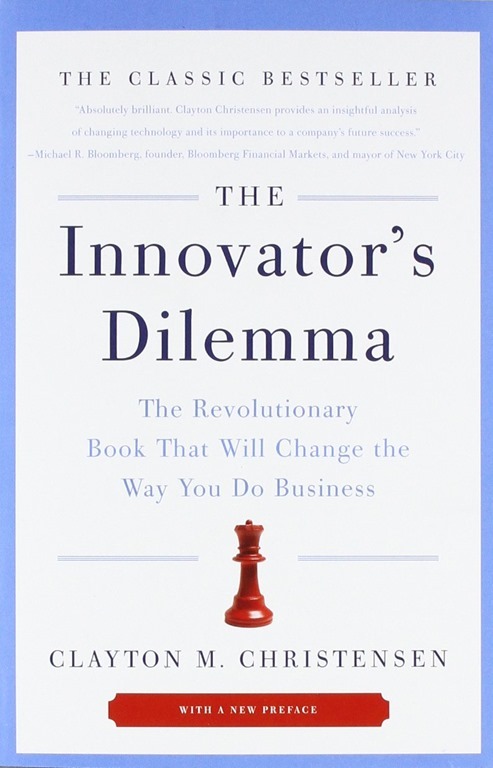 The whole theory behind disruptive innovation – cheaper, sometimes lower-quality technologies which come along and destroy the business models of established industries – is a subject of ferocious academic debate at the moment, after an article in the New Yorker questioned the concept. I am still sold on the basic notion of disruptive change and fall back on my comfort blanket of the works of Thomas Kuhn from the early 1960’s on Paradigm Shifts (1962, The Structure of Scientific Revolutions). HOWEVER reading this article has made me question whether the path of disruption is as predictable as Mr Christensen would have us believe. Once disrupted by the new comers is the fate of the incumbents set. Without doubt IBM were “disrupted” by Microsoft in the 1980’s and yet IBM are still in business. Today Microsoft are themselves being disrupted by Salesforce, Amazon and many others. Have Microsoft been able to learn from history? Have they been quick enough to react to the changes, but not so quick that they bet the business on something un-proven? The next few years will be very interesting and as I noted in a previous article the shift from being positioned as a 90% market defender to a 14% market challenger may be just what is needed. So I’m a geek and I enrolled in the Windows Phone dev preview program so I could get Windows Phone 8.1 onto my Lumia 925 asap. I have been really pleased with many of the updates e.g. action centre, shape writing and photo as tile background. But one thing missing was Cortana. I briefly changed my settings to make my phone “US” but too many little hassles so I changed back to Australia. Overall though happy days. Then this week along came Windows 8.1 update 1 and things improved again (Telstra are still “testing” 8.1 before rollout to existing phones down in Australia!!!!). Loving the new “folders” capability, significant improvement over the previous Nokia App folder capability. AND Cortana appeared in Alpha form even with my Australian locale. 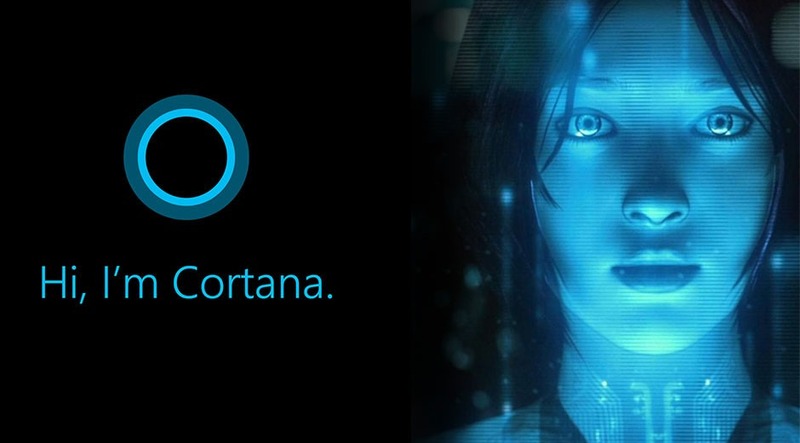 The point of this post – how did Cortana surprise me? I have not had time to play with Cortana and see what it can do so I was surprised and pretty impressed when…. Satya Nadella made it clear that Microsoft will continue to invest in a “dual use” (work and personal) model. However we have seen in the recent redundancy announcements that there will be a streamlining of these efforts to support the challenger focus. Microsoft also have an asset that is the envy of all of their major competitors – the Microsoft partner network. From small business specialists to service providers using SPLA to host services on a global scale. These partners will enjoy the focus on the core Microsoft they know. 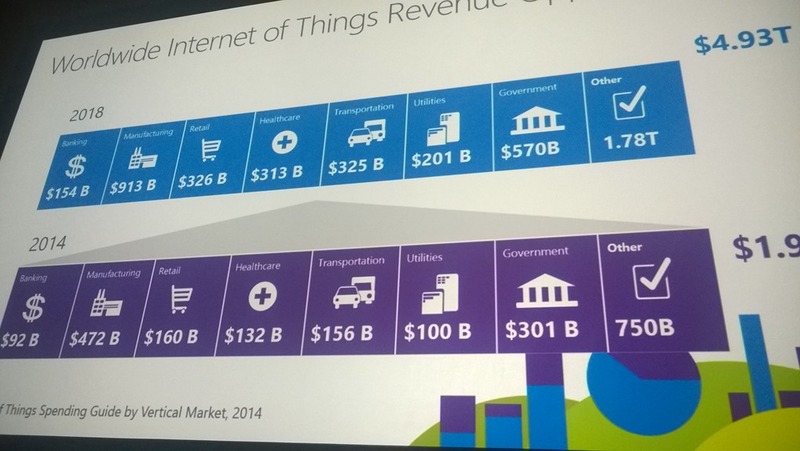 Microsoft would do well to focus on and heavily market the partner ecosystem asset. The challenger mindset means that defending the traditional PC market will no longer be focused exclusively on the 14% itself. Rather by “challenging” the other 86% Microsoft can extend the overall ecosystem and create the end to end experience. We have seen a major play in this direction with the $0 Windows licensing cost for devices of 9” or less. It is not too difficult to imagine a very low cost, full blown Windows tablet, being connected to a keyboard, mouse and monitor to replace many ageing desktops. The “Cloud Solution Provider” program was announced at WPC with little hard facts behind the announcement. BUT WATCH THIS SPACE. This is Microsoft’s play to pull their huge ecosystem towards the cloud. I also expect to see a major streamlining of Microsoft marketing that more accurately reflects the “One Microsoft” approach with a strong “better together” type message. Over the past 10 years Microsoft have become increasingly conservative, driven by the need to defend a near monopoly. However by publically putting on the challenger boxing gloves I am expecting to see some interesting and unexpected behaviour as we progress through FY15. As mentioned in a previous blog post (Microsoft WPC Day 3) there were very few major announcements at Microsoft #WPC14 and nothing with a “WOW” factor. Maybe this is to be expected. Satya Nadella is relatively new in role and whilst he has signposted a major refocus this will take time to land. HOWEVER it has been a few weeks since WPC and I have had a chance to reflect on the conference. And in this reflection I keep coming back to one area of Kevin Turners keynote that I believe is going to be a massive influence on Microsoft behaviour in the next 12+ months. Along with his normal bullish view on all things Microsoft and his always appreciated dig at the competition he was very candid about where Microsoft market share now sits. In a world of PCs being the primary computing device Microsoft have essentially had a monopoly and talked about their 90%+ market share. This has been a primary driver for their behaviour. They have needed to defend this market share and within this context many (sometimes frustrating) decisions make sense. In a world where the proliferation of devices has exploded, there is no fundamentally new or surprising data that points to Microsoft having a reduced market share. 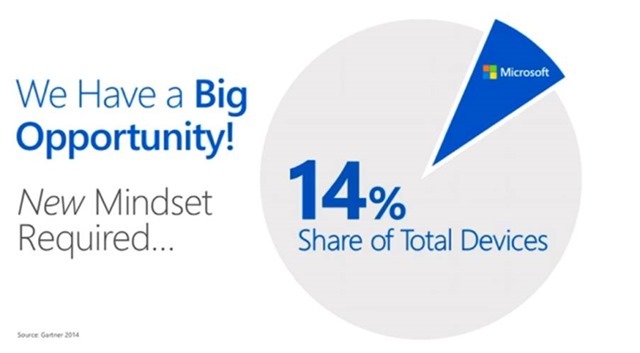 HOWEVER for Microsoft to openly and candidly talk about only 14% market share is a major mental shift. This position is a completely at odds with Microsoft’s previous raison d’être. I am running Windows Server Essentials 2012 at home (not updated to R2 yet due to hassle of no in place upgrade – I know always rebuild from clean, but just time and hassle). With a few exceptions it has just worked and delivered what I needed. However the other day I started getting warnings about an important service failing to start. Turned out the the “Windows Server Devices Provider” was failing to start for some reason. A knock on effect was that the Windows Server 2012 Essentials Dashboard would start take some time trying to work out details about the devices attached to the server environment and then crash. Although there were no big “wow” announcements, there were things that caught my attention. Summary below. Tiffani Bova, VP, Gartner Research. 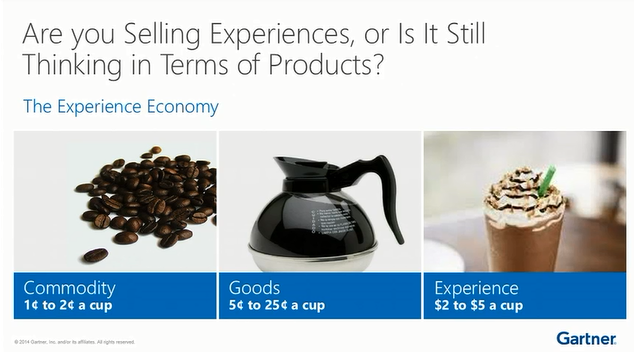 We live in a world of customer experiences. However too many businesses are still trying sell the underlying product. She summed this up with a coffee analogy – even though there is free coffee all around the WPC event, people were still waiting and paying at the coffee shop. Devices with screens less than 9” will have a $0 license fee for the various Windows OSs. One of the big benefits of Android to device manufacturers has been the lack of licensing costs. This change to Windows licensing should create an explosion in Windows based devices and there is already evidence of this from announcements from Chinese handset manufacturers. It is clear that one of the key drivers for the new approach that Satya is laying out for Microsoft is that they have gone from a near monopoly position in the devices market when device = PC to where they now have a 14% share in a world where device = PC + tablet + phone etc.